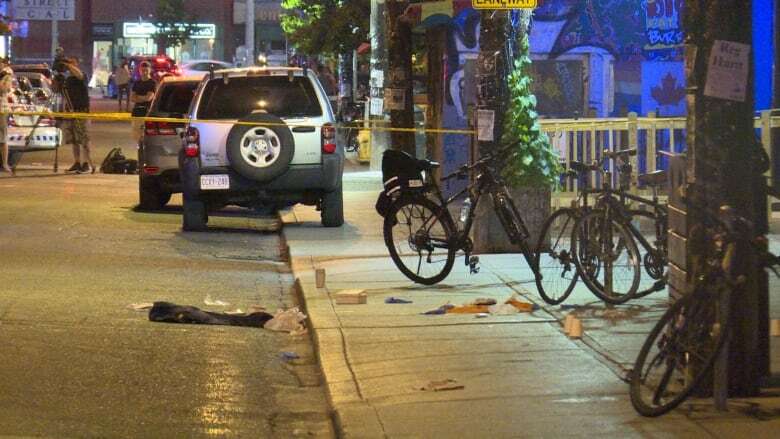 Toronto police have identified the man who died in hospital Wednesday after Sunday's shooting in Kensington Market as 19-year-old Marcel Teme of Toronto. Teme suffered serious injuries in the shooting and was one of four people who were shot. The other three people are reported to have non-life threatening injuries, police say, but there is no update on their condition. A post-mortem examination was conducted Thursday and determined Teme's cause of death to be a gunshot wound. Toronto police's homicide unit has taken over the investigation. Sunday's shooting came just over a day after a local rapper and a brand manager with the hip-hop music collective Prime were fatally shot on a busy Toronto street.